Club Rehab will be providing taping from 7am-8:30am should players need; we will have complimentary Starbucks coffee/ fruit for players each morning/ food truck will be available for lunch. 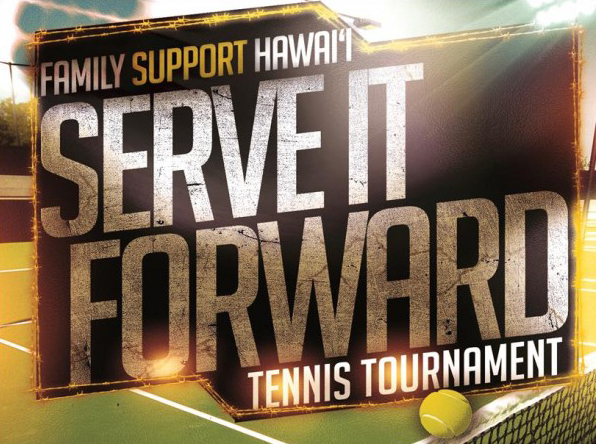 First 60 to register will receive “Serve it Forward” tournament t-shirt; bring non perishable food item for THE FOOD BASKET. NOTE: Participants may only sign-up for ONE mixed doubles event. Also, because of a feature limitation with Eventbrite, please select a “1st Event Men’s, Women’s or Mixed 6.0, 7.0, 8.0, 9.0 or OPEN first, before registering for a “2nd Event Mixed 6.0, 7.0, 8.0, 9.0 or OPEN. Mahalo!